It's been a long time since I've been to Walt Disney World, but my friends who have been there more recently with their families bear harrowing tales of crowds, lines, and heat. 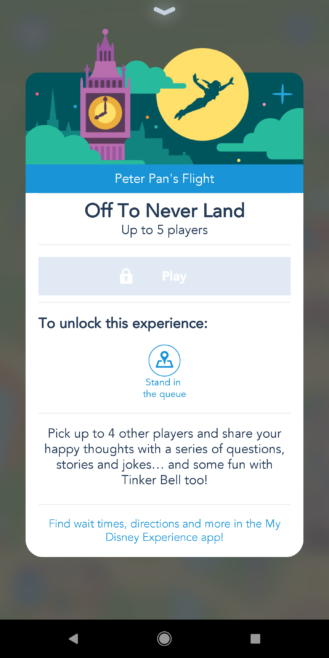 Disney appears to be aware of the pain points that sap some of the joy of visiting one of its theme parks, and its new app called Play Disney Parks is an attempt at alleviating some of those discomforts. Now waiting in line and making your way through hordes of other distressed families can be more fun, maybe? 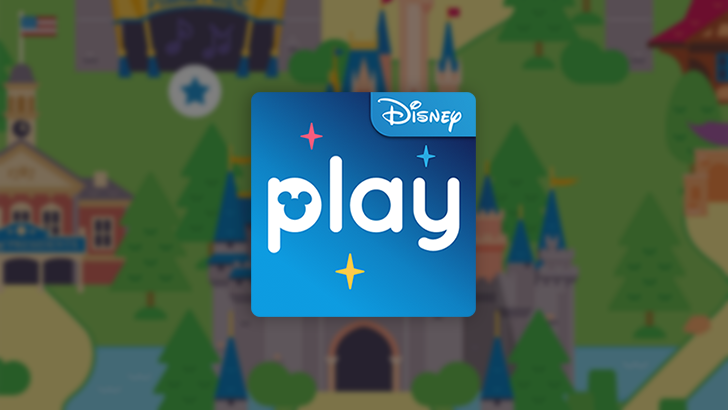 Play Disney Parks was officially launched June 30th, though it appears to have landed on the Play Store a few days before that. 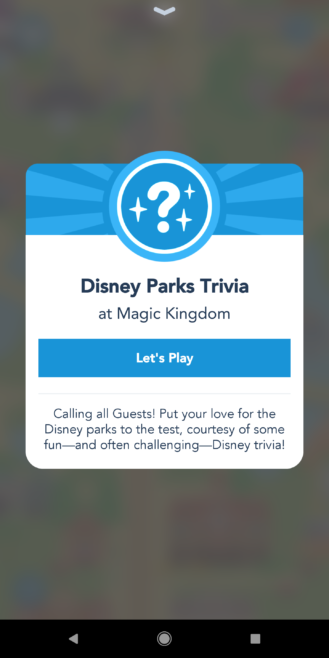 The free app promises to "turn wait time into play time" by giving users a selection of games, quizzes, and unlockable achievements while enjoying their time at Walt Disney World in Florida or Disneyland in California. After opening the app and granting permissions for location services (optional), notifications (enabled by default), and Bluetooth connectivity (enabled by default), you can choose which Disney location you're at. You don't have to sign in to a Disney account to use the app, though you'll need one if you want to rack up achievements. 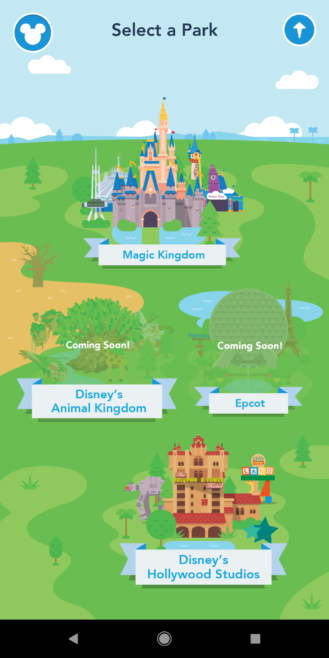 Some parks are pending addition in Play Disney Parks, including "Star Wars: Galaxy’s Edge," which is coming to Disneyland in summer 2019 and Walt Disney World in late fall 2019. Once you choose a theme park, you'll see an interactive map featuring animations and colorful graphics. Tapping the Mickey Mouse icon in the top left corner brings you to your profile page; tapping the up arrow in the top right corner brings you back to the previous screen. I'm not sure what the arrow in the bottom left corner is supposed to do or convey — tapping it does nothing for me, and it doesn't change color if I toggle the location permission off. 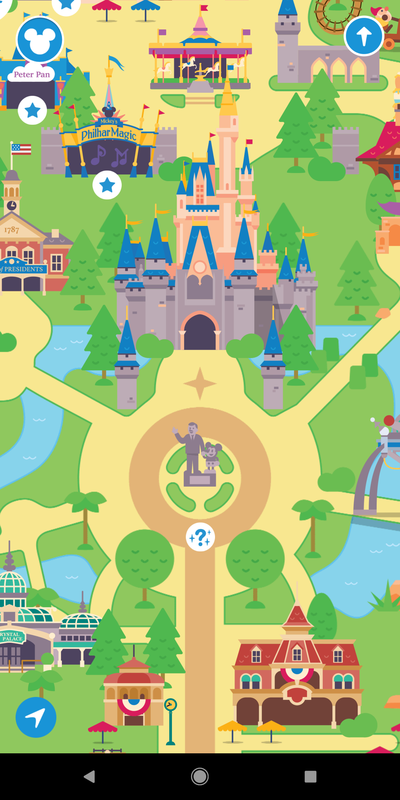 Each white icon on the map opens up a gamification feature. 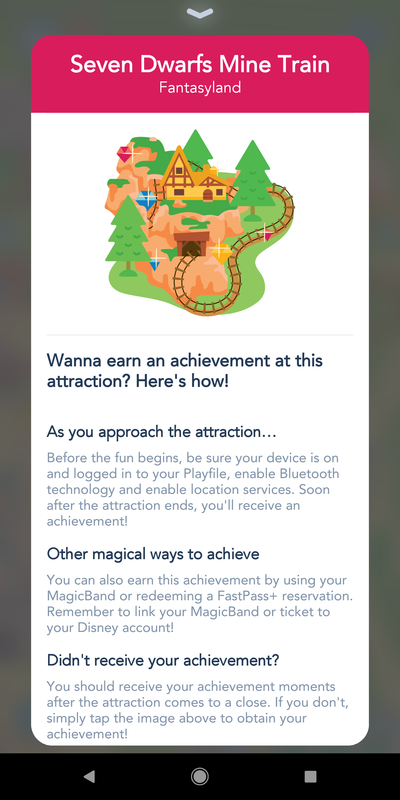 When you tap a star on the map, you'll be able to earn an achievement after finishing the related attraction. This feature requires Bluetooth and location permissions be granted. Tapping a larger icon on the map containing a unique image related to the attraction opens up a game you can play with other Play Disney Parks users waiting in the same line. This feature requires that the location permission be granted, of course. 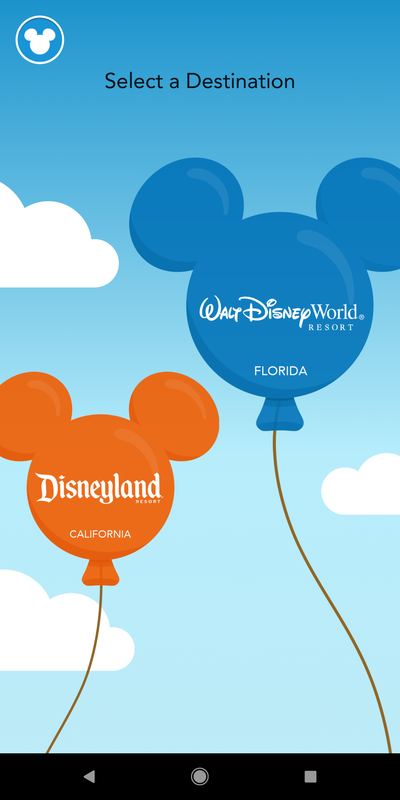 If you're planning a trip to one of Walt Disney World or Disneyland in the near future and want to give Play Disney Parks a try, download the app from the Play Store using the widget below. 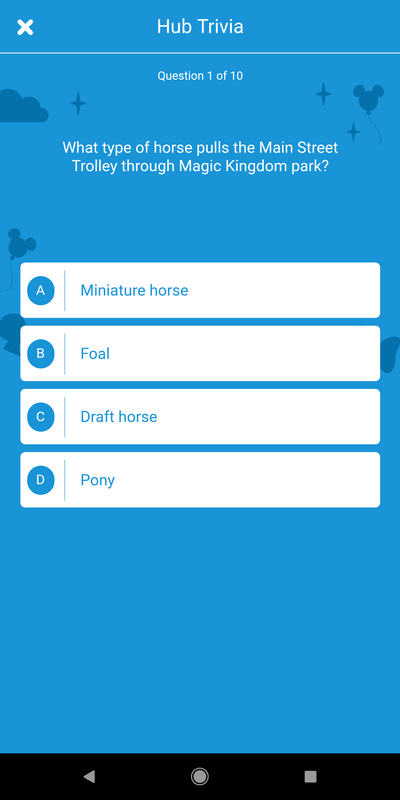 Early reviews of the Android app include some reports of features not working very well, so keep expectations in check.